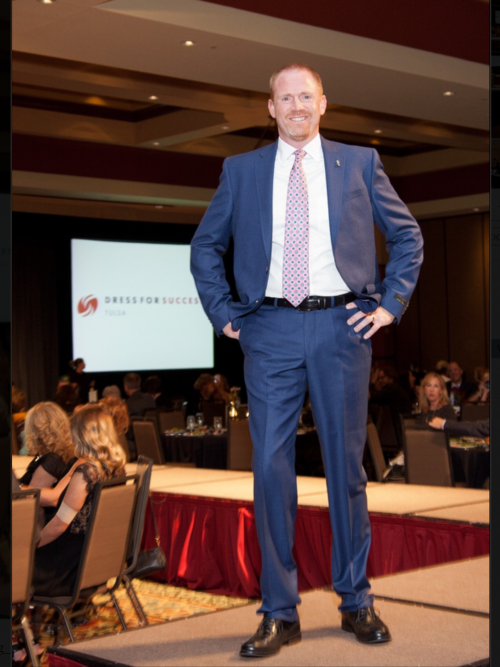 Our amazing owner Bret walked across the stage for a great cause! Dress for Success celebrated 15 years of putting women first at this year’s Empower Gala. The event is a Fashion Show featuring models representing companies around the Tulsa Community. The event also included a silent auction and all proceeds went to support the free programs and services at Dress for Success Tulsa. Dress for Success Tulsa is a not-for-profit organization, dedicated to empowering women to achieve economic independence by providing a network of support, professional attire and the development tools to help women thrive in work and in life. Since it’s opening, Dress for Success Tulsa has helped over 13,000 women make transitions to thriving lives of self-sufficiency.